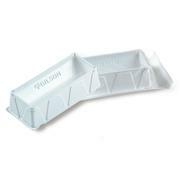 …polypropylene construction. 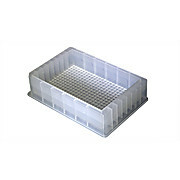 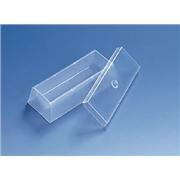 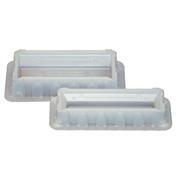 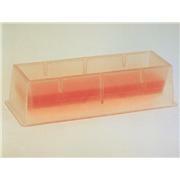 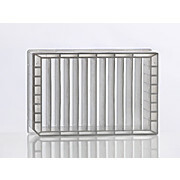 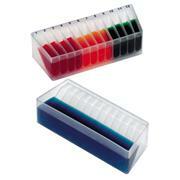 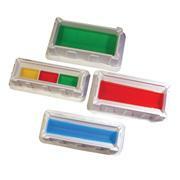 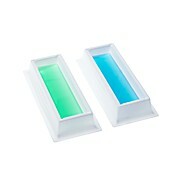 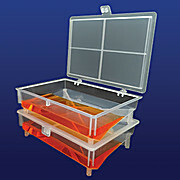 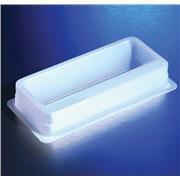 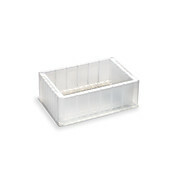 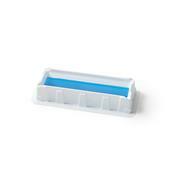 Hinged lid allows unused reagent storage and prevents airborne contamination when closed. 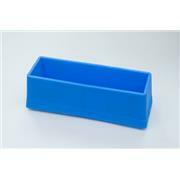 The large capacity means fewer refills. 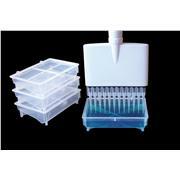 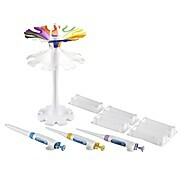 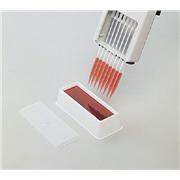 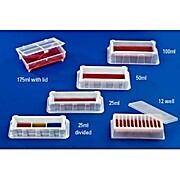 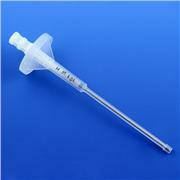 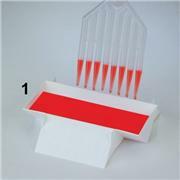 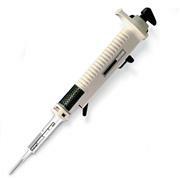 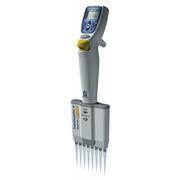 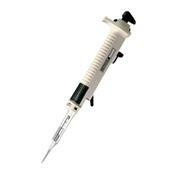 Allows for 8 and 12-channel pipetting with minimal waste. 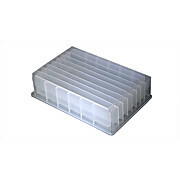 Multiple reservoirs can be stacked for improved space efficiency. 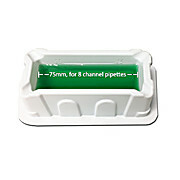 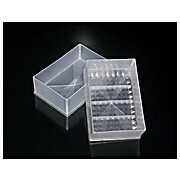 …feature makes separation of bulk packed reservoirs easy 25ml divided reservoirs are divided into 3 separate 5ml channels; great for low volume pipetting. 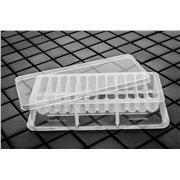 Sterile and certified version are certified RNase and DNase-free and non-pyrogenic. 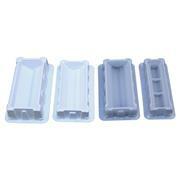 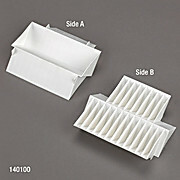 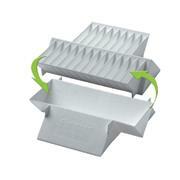 Bulk packed reservoirs come in packs of 5 reservoirs.